It's taken me several weeks to figure out what I'm going to do with the photos I'm taking each day - using either my iPhone, or pocket camera - to capture "everyday" moments. It took me a while - surfing the web to see what others are doing - and honestly, a little bit to grow into this idea. 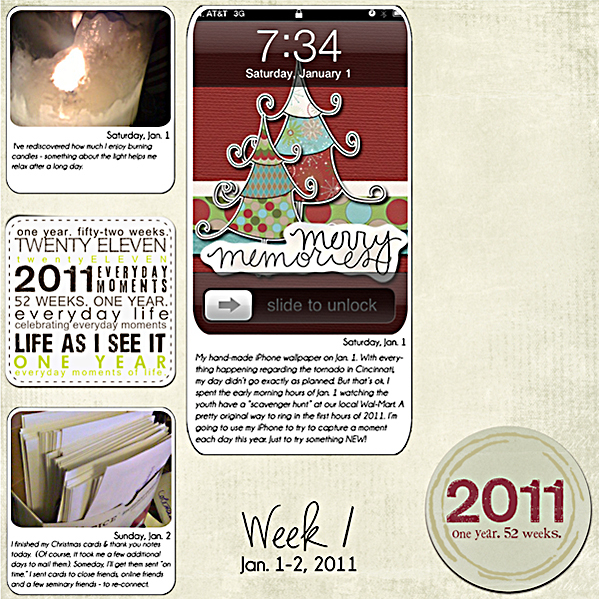 So I've made my own template - using a multitude of ideas, and I plan to use 52:2011 by Vicki Stegall and Sue Cummings at Oscraps.com. I'm mainly using a background paper (so far, a solid) and maybe one or two pieces of word art per week. I'm keeping it simple. I'm journaling a bit for each photo. I'm just trying to remember some of the simple moments in my life this year. Honestly, looking at the photos I've taken this month, I'm capturing small things. A few things are "big" but for the most part it's the little things, that are becoming important. 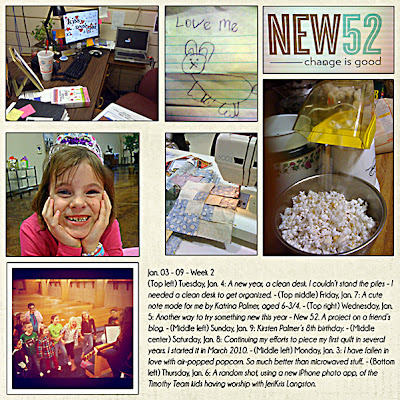 So, here's my "re do" of the first two weeks of my New:52 journey. Want to see how this all started? Read the original post here! U.S. Marshal Jake Taylor has seen plenty of action during his years in law enforcement. But he'd rather go back to Iraq than face his next assignment: protection detail for federal judge Liz Michaels. His feelings toward the coldhearted workaholic haven't warmed in the five years since she drove her husband--and Jake's best friend--to despair . . . and possible suicide. As the danger mounts and Jake gets to know Liz better, he's forced to revise his opinion of her. And when it becomes clear that an unknown enemy may want her dead, the stakes are raised. Because now both her life--and his heart--are in danger. When this book arrived at the beginning of January. I immediately dove into it. I anticipated, because I devoured Irene Hannon's Heroes of Quantico series, this would be a suspenseful and solid novel. Focusing on the attempted assassination attempt of a federal judge, Fatal Judgment showcases the men and women who make up the U.S. Marshal Service. It also explores the extremely patriotic (and really scary) political groups which seem to populate much of America - especially Missouri, the setting of the novel. In fact, in light of the events of the past month in Arizona, this novel is way too realistic. Hannon has created a storyline that makes you think about what you believe. It may cause you examine and question the anger and extremism found in today's political climate. I really enjoyed this novel created by Hannon. On a scale of 1 to 5, with 5 being the highest, it's definitely a strong 4 to 4.5. 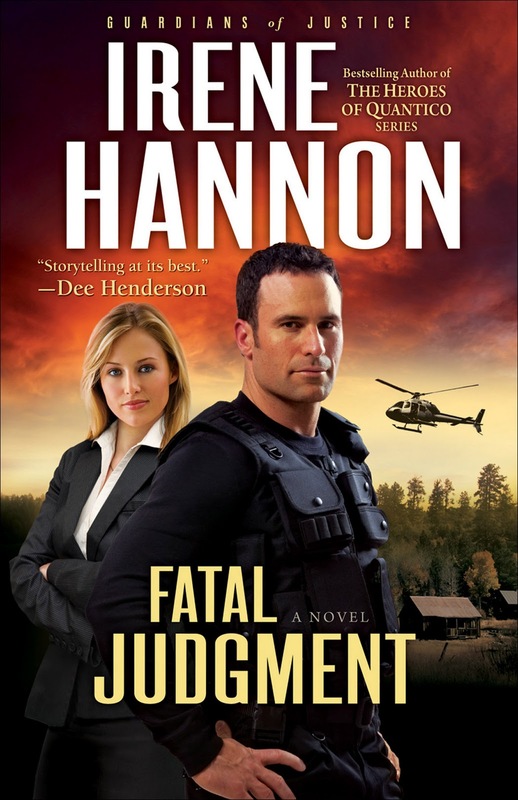 Fatal Judgment is the first book in a new series by Hannon that features three siblings "bound by blood and a passion for judgment." I'm really looking forward to the next book in the series. 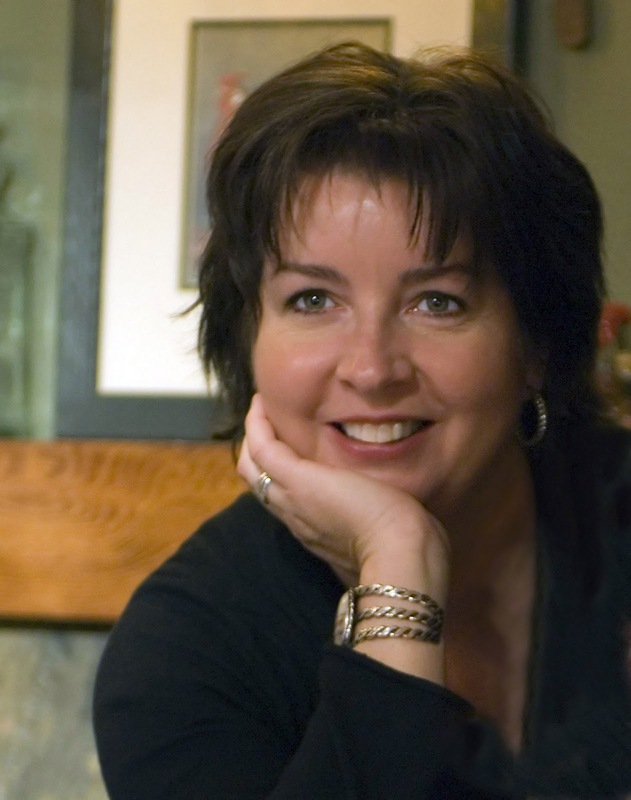 Irene Hannon is the author of more than 25 novels, including the CBA bestsellers Against All Odds, An Eye for an Eye, and In Harm's Way. Her books have been honored with the coveted RITA Award from Romance Writers of America, the HOLT Medallion, the Daphne du Maurier award, and the Reviewer's Choice Award from Romantic Times BOOKreviews magazine. She lives in Missouri. 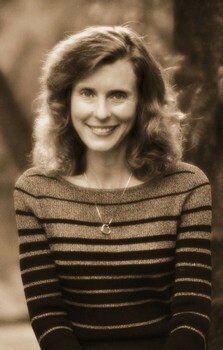 For more information about Hannon and her books, visit her website at www.irenehannon.com. Read an online excerpt of Fatal Judgment by clicking here. Download a reading group guide to Fatal Judgment here. Read a review of Hannon's last book - In Harm's Way, along with an interview with her, here. Summer is ending, and for once that doesn't seem like such a bad thing to Elise. She's hoping that starting fresh at a new high school will turn her first-kiss prospects around. New guys, new friends, and a new lease on life. What she wasn't counting on was all the new pressure--to hang with the right crowd, wear the right clothes, and date the right guy. Just when it seems she's on top of the world, everything comes crashing down. Could one bad choice derail her future? This book is a bit hard to read.....not because of the writing style - which is fresh and in the "voice" of an almost-16-year-old girl - but because of the subject matter. Without spoiling the plot of the book, Melody Carson uses this novel to explore the harsh realities of "sexting" along with themes surrounding the value of purity and making wise choices online. Through it all, Carson manages to tackle these tough subjects without being overtly preachy or superficial. This is one of those "read and think" books. Using fiction, Carson explores why teens - especially girls - need to protect themselves online, as well as being smart when when texting pictures or sending e-mails. The book definitely explores the reality that exists online - once a student posts something or transmits it electronically, either via text or e-mail, it never really ever goes away. It also contains a sub-theme of teen bullying. On a scale of 1 to 5, with 5 being the highest, I give this book a solid 4. I can see giving this book to some of the teens I work with, in order to "spark" a conversation about their online activity. 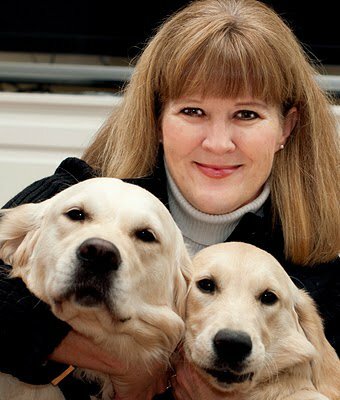 Melody Carlson is the award-winning author of more than 200 books, several of them Christmas novellas from Revell, including The Christmas Bus. Carter was nominated for a Romantic Times Career Achievement Award in the inspirational market for her books, including the Notes from a Spinning Planet series and Finding Alice, which is in production as a Lifetime Television movie. 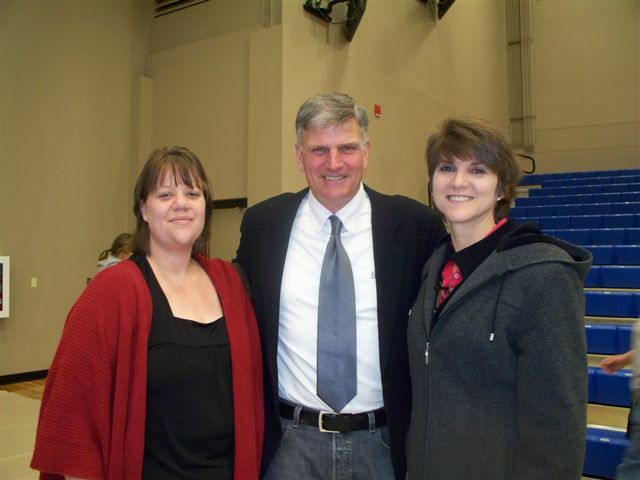 She and her husband serve on the Young Life adult committee in central Oregon. Visit Carson's website at www.melodycarlson.com. Want to check out some of my other reviews of Carson's books? 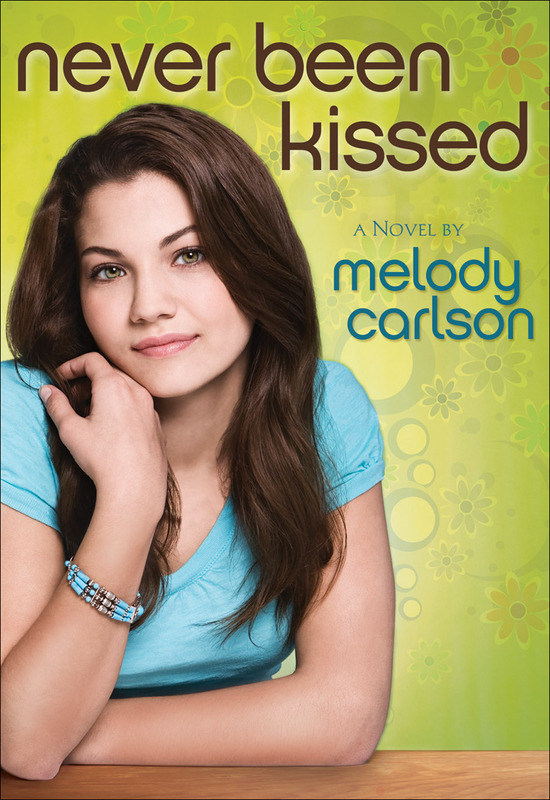 Read an excerpt of Never Been Kissed here! Regardless of your political party or beliefs, I thought this was a cool way to show the words used last night by President Obama in last night's State of The Union address. Homelessness. Human trafficking. Racial issues. Hunger. Real issues that face people throughout the world - and even in our own neighborhoods every day. How does someone - especially a Christian - respond? How can we respond to social justice issues in a clear, yet joyful manor. 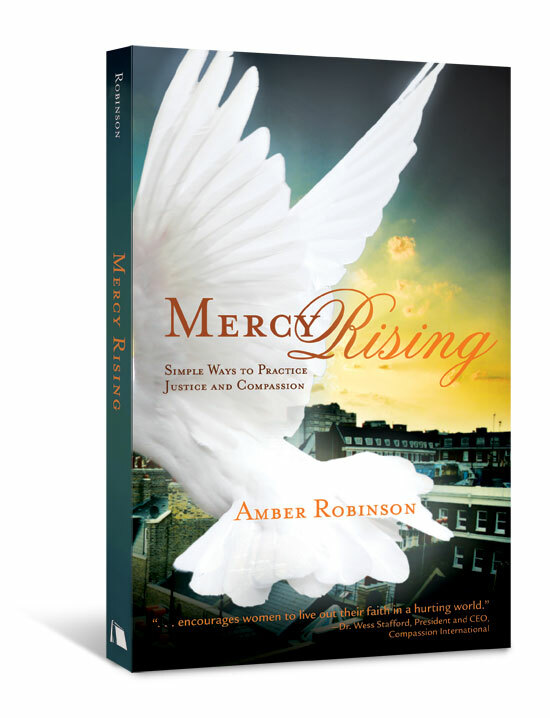 In Mercy Rising, Amber Robinson has created a simple, yet practical way to approach issues of justice and compassion. I've always had an interest in social justice issues. As a high school junior, I found myself (in pre-Internet days) researching addresses for Greenpeace, Methodists for Social Action, Amnesty International and more. I wanted to find a way to blend my faith with things that made a difference in the world. I wish this book had been available to me then. 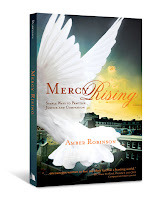 Robinson has pulled together a variety of resources and ideas in Mercy Rising that someone - regardless of age and gender - (although it's written for moms trying to balance a variety of things) can use immediately to begin to make a difference in the world around them. On the negative side. It is a static book, and let's face it, websites change with alarming frequency. However, this book is more than a "laundry list" of websites. It can serve as a launching point for deeper online research. But on the plus side: In a "search engine" overload world, this book pulls together reputable sites and sources you can use to begin to make an immediate difference. Robinson also provides reflection questions at the end of each section to help you process the issues, think about things in a new way and maybe even explore life outside of your comfort zone. I found this book easy to read - the stories Robinson includes throughout the manuscript help illustrate that anyone, despite personal circumstances, can make a difference. Amber Robinson is an ordinary woman seeking to bridge the gap between the needs for justice and balancing family, work and service. Her life’s passion is to write and advocate for children with Compassion International. She speaks to groups who want to incorporate justice pursuits in simple, practical ways. She is an imperfect Christ follower and reluctantly optimistic. Robinson began this journey when chronic illness forced her to reevaluate her priorities. She networks with leaders in the justice movement as well as ordinary people with limitations in time, resources, and energy but long to make a difference. Note: As a freelance journalist, I was provided a copy of this book by Beacon Hill Press. This review was not influenced by a free book - just in case you (or the FTC) were worried about this detail. Now in her mid-20s, she is poised to go to culinary school when her car breaks down in Stoney Ridge, the very Amish town in which her long-reaching decision was made, forcing her to face the shadowed past. This is the third novel by Suzanne Woods Fisher that I've had a chance to read. I enjoyed the past novels, and enjoyed this offering as well. I loved the tone of the novel - it's smooth and sweet (almost like a fine dark chocolate). I enjoyed getting to know the characters in this book. While it is the third novel in the series, this book is easily read as a stand-a-lone novel. A few characters appeared in the previous books, but they simply have a supporting role in this story. (My favorite way to read a multi-book series - especially if I didn't have a chance to read earlier books). I'll admit, the time setting didn't immediately jump out at me as the 70s - even though I knew from an interview with Fisher that she planned to focus her novel during this time period. What I did like about the novel is how Fisher unpacked the "secret" that lies between Lainey and Bess. I also like how Fisher shows a huge amount of redemption and grace as the different family members face their own secrets and began to grow and heal their relationships. On a scale of one to five, with five being the highest, I give this novel at least a 4.5. I enjoyed reading it and finished it wanting more. Fisher has loved to write since she was a young teen. After college, she started to write for magazines and became a contributing editor for Christian Parenting Today magazine. Her family moved to Hong Kong for four years, just as the internet was developing, and she continued to write articles in a 44-story high-rise apartment, sending manuscripts 7,000 miles away with a click of a key. After returning from Hong Kong, Fisher decided to give her first novel a try. For four and a half months, she worked on an antediluvian computer in a cramped laundry room. She didn't even tell her husband what she was up to. When the novel was completed, she told her family at dinner one night that she had written a book. "That's why there's no food in this house!" said her slightly insensitive sons. Undaunted...Fisher found a small royalty publisher for that book and wrote three more (all earned multiple awards). With help from an agent, she now has numerous books under contract with Revell. Also look for Fisher's Amish non-fiction, Amish Peace: Simple Wisdom for a Complicated World, a non-fiction book of stories and examples about the Old Order Amish, as well as Amish Proverbs, and coming in spring of 2011, look for Amish Values for Your Family. The Choice and The Waiting are the previous books in the Lancaster County Secrets Collection. Writing, for Fisher, is a way to express a love of God and His word. With every book or article, she hopes readers get a sense of what faith really looks like in the daily grind. She hopes they realize that life can be hard, but God is good, and never to confuse the two. Join Fisher for the Everything is Coming Up Roses Facebook Party on Thursday, Feb. 3. 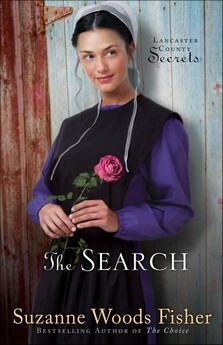 She’ll be announcing the winner of the The Search iPad Giveaway, hosting a book club discussion of The Search, giving away copies of all three books and HEAPS of other readerly prizes! Including roses delivered to your door for three months for you AND a friend! Be sure to join us at 5 p.m. PST (6 p.m. MST, 7 p.m. CST & 8 p.m. EST) at Suzanne’s Author Page. 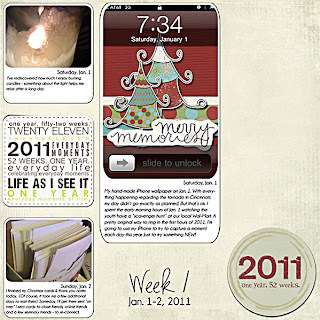 I love this idea - I love it because if I truly try this each week, it will really help me with my word for 2011 - New. You can read more about this idea - on One Little Bird (Peppermint Granberg's blog) here. So, one "new" thing I'm trying is to take a photo (mainly with my iPhone) each day to capture a specific moment in life. I know these photos are not going to be perfect - that's not the point. The point is that they help me capture a bit of my life, in 2011. 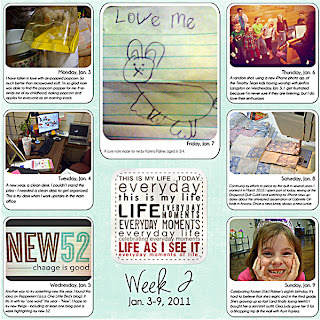 I'm going to try (no promises) to make a simple layout each week, highlighting these photos and and a brief bit of journaling. Again, I know this won't be perfect - but that's the lesson for the first few days of 2011 - imperfection is ok. My week is going to run Monday to Sunday - so I can reflect on the week on Sunday. In fact, I've signed up for a free class, that starts in a few weeks, at Big Picture Scrapbooking, that focuses on this topic - Embrace Imperfection. There is a bigger picture as to why you should embrace imperfection - the core reasons why the voices need to go away. My goal is to help you go back to the business of creating your library of memories, so that you can create layouts rather than talk about creating layouts. It all starts with learning to embrace imperfection. I'm hoping, not only to embrace imperfection in my scrapbook layouts - it's been over a year since I've created anything, but continue to embrace imperfection in life. Because let's face it, life isn't perfect, and that's what makes it so great. Trying to do the photo a day - that was the "new" thing I tried as the year began. I also tried the "create a layout" to showcase the photos. 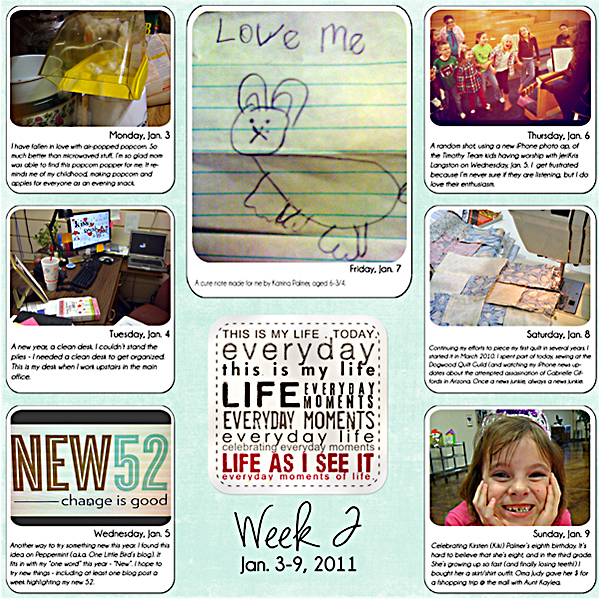 This layout (and the one that follows) are not perfect - see I'm already learning something....and the photos aren't "great".... but I think it will be interesting to see the ordinary moments of my day this year. Editor's Note: This article appeared in the January edition of the Arkansas United Methodist newspaper. It can be found online - in the pdf form - here. At a time in life when many may chose to take things easy, Kenneth Kruger was up for a new challenge: going on an international mission trip. In fact, since turning 90, the member of Central United Methodist Church in Rogers has taken three such trips—to Chile, Belize and Costa Rica, along with an excursion to Israel. “I like to see what’s over the next hill,” Kruger said with a smile. Kruger’s venture into international missions began in 2004, when he talked with Constance Waddell, then co-director of Campamento Metodista in El Tabo, Chile. After learning about the ministry, he decided to travel to the facility on a trip led by Les Oliver, minister of music and worship at Central UMC. During that trip, Kruger helped with painting and general repair projects. He also helped to construct an 18-foot addition to a building. Since then, his travels have taken him to two Methodist elementary schools in Belize in 2006, and to Alajuela, Costa Rica, in 2010, where he helped construct a fellowship hall and kitchen for a United Methodist Church. He made the latest trip even though he needed some assistance, which came in the form of a rented walker. “I [knew] I could do things even though I am walking around with a walker,” Kruger said. “I knew I was adaptable to any kind of work. Oliver said Kruger is the “youngest” 90-plus-year-old person he knows. 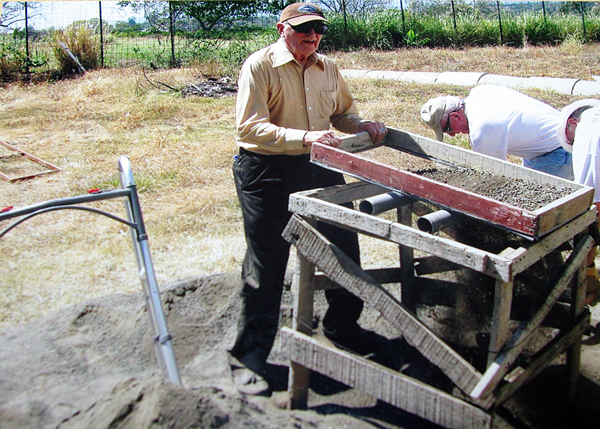 Kruger said that during the Costa Rica trip, he helped sift sand to remove pebbles, so team members could use it to build the walls of the new building. While he enjoyed traveling to other countries, Kruger said he mainly enjoyed meeting the different people—those on the work teams and those they were going to serve. “I like people,” Kruger said. “When I lived in New York, before I married, I would often sit on the corner and watch people go by. “I’ve made a lot of friends who have done things for me, without me even asking them to do it,” Kruger said. Kruger hopes to continue to travel through the mission program at Central UMC Rogers. “We’ve all been given talents to work with,” he said. “Why not use the talents you have? A native of New York state, Kruger was no stranger to travel before he began going on mission trips. He got a taste of life beyond his hometown while serving in the U.S. Army during World War II. During his time with the 44th Division, 324th Infantry, Kruger traveled through much of the U.S., France, Germany, Austria, Scotland and Canada. After Kruger was discharged, he returned to the states through Camp Chaffee in Ft. Smith, Ark. It was then he met his future wife, Virginia J. Fine. The pair married in 1951 after corresponding by mail. They lived in Long Island, New York for more than 30 years before returning to Northwest Arkansas—and joining Central UMC—after he retired. Kenneth Kruger’s experience with missions is due in part to his congregation’s philosophy of mission—both foreign and domestic. In addition to the foreign trips, members of the congregation have adopted the Bonnie Grimes Elementary School—named after a retired educator who is also a life-long member of Central UMC. Oliver said the outreach to the school, which began two years ago, includes hosting a workday in August to help teachers set up their classrooms and, for students, a shoe drive as well as a coat drive. The congregation also strives through an Angel Tree program to provide Christmas presents for at least 25 children. And this spring, the congregation will host a book drive designed to provide every child in the school with a new book to take home during the summer. Oliver said the book program was developed as a way to help students maintain their English reading skills during the summer, since many live in homes where English is never spoken. Other mission outreaches for the congregation include a monthly food drive for the food pantry at Grace UMC in Rogers, and a mission trip to the Navajo Reservation in Shiprock, N.M., set for April 2011. On the third Sunday of each month, the congregation hosts a “Third Quarter” Sunday, where people fill a large acrylic tube with quarters, which are then given to Heifer International. Oliver said the mission team hopes to return to Costa Rica in 2012. - find the "new" in life. I'm so adopting it for my own blog/life for this year. Thank you Peppermint for making my day today! New52 is a project that invites participants to live outside the box a little bit more and try things outside their comfort zone. Sometimes the “new” will present itself to you unwittingly, other times you’ll be seeking it out. My hope is that we can all become inspired by one another’s adventures – perhaps gain the courage to try someone else’s new thing ourselves. Don’t worry if you’re getting a late start or if you miss a week here and there. New52 isn’t about making a life-altering change every week, it’s about keeping an open mind and embracing little changes in your life. I try to post my New52 entry every Sunday after reflecting on the past week. If you participate this week, please leave a link to your blog post, scrapbook page, photograph or other recorded history of your walk on the wild side in the link list (on this post on her blog). You can also post images to our New 52 Flickr Group! We would love to see what you were inspired to do. 2011 has started, well, different than I expected. 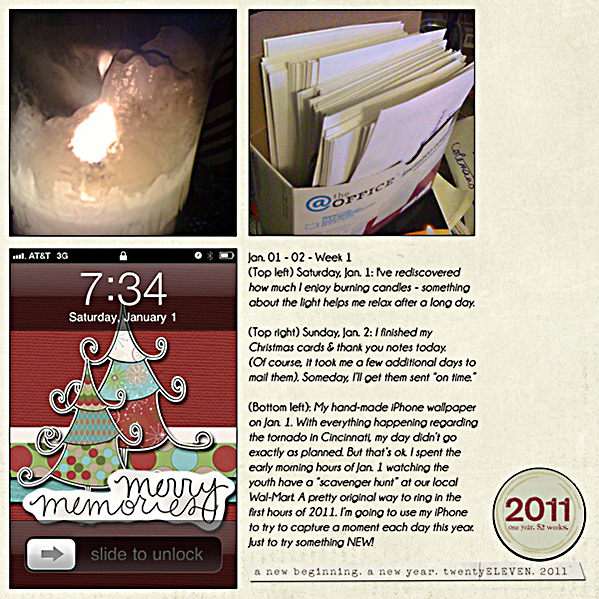 I went to bed on Thursday, Dec. 30, really anticipating a quiet, simple day. My goal in life was to finish my Christmas cards (yes, I was late), watch a movie, and just hang out at home - and be the "back up" adult for the New Year's Eve youth lock-in. Let's just say, that my quiet morning became nothing but quiet in a short time. I'll admit, after covering tornadoes and watching their destructive path, let's just say, I tend to "under-react" to storms. I used to worry and fret, watching the sky with fear - wondering if the next time the siren sounded, my house would go away. I've taken shelter in church basements (when I lived in the upstairs apartment, without access to a basement), and I've sat cowering in the hallway with my camera bag slung over my shoulder - because of course, the girl who takes pictures at her own wreck (um that's a long story) would need to be ready to snap pics for the paper immediately after the wind died down. But after covering two tornadoes: a wretched December storm and a wild May blast, I'll be honest - I don't do anything stupid, but like I said, I tend to under-react. "Just woke up from a lovely dream to hear tornado sirens in Siloam. Happy New Years eve I guess. Yes mom I ducked, covered AND Facebooked." I never dreamed that just down the road, the lives of people I knew were changing in an instant. A friend's sister and brother-in-law lost their business (a dairy), a family member and well, everything. Another friend's farm was ok, but they were dealing with the loss of a friend and being able to step in to help a neighbor in need. Still other friends, themselves ok, jumped in to minister to people in need - turning their small church into a community-resource hub. If I had known then, what I know now, I would have never rolled back over and gone back to sleep. It took a call from my cousin, and later, a friend, to wake me up enough to realize that 2010 wouldn't end quietly. By 8:30 a.m., I was awake enough, to respond to the crisis - this time, not as a journalist, but instead, part of a ministry team. Because I am the "web guru" (a.k.a. the person with the password) for the Northwest Arkansas (UMC) District Website, and because our district's disaster coordinator (a.k.a. Denni Palmer) was beginning to mobilize, I knew we needed to put a communication's plan into motion. Because a church - Cincinnati United Methodist Church - was directly involved in the situation, I decided to create a post on the district website that could hold all of the updates and eliminate the need for multiple e-mails - www.nwdist.org/2010/12/tornado. Since our first update at 8:30 a.m. on that first day, we've updated the website numerous times. We know that people are reading the updates. Denni's talked to lots of people from across the country who said they got their first information from the site - a heavy responsibility. Much of the updates have centered around what's happening at the church - and the subsequent relief efforts which are taking place through it's determined members. I wish I could do more. I wish I could tell all of the stories of the people who are doing amazing things. Of the people who have awesome stories of hope, in the midst of devastation. I wish I could help memorialize the stories of those who lost their lives because of the brief, but powerful storm. This is the first storm I've covered in the shadow of Facebook. It's amazing the power statuses have in helping to spread the word about needs. It's also heartbreaking to watch the statuses be used to spread misinformation. Having a "refrigerator door" type page, on the district website, has hopefully provided a positive way to get the word out, to lots of people, in a short amount of time. I'm still processing everything that happened this past weekend - and my minuscule part in the bigger picture. I'm also praying for those impacted by the storm - especially for the families that lost everything. I still wish I could do more. But for now, I'm doing my part by getting out accurate information. Have any thoughts on this quote? "When any fit of gloominess...lays hold upon you, make it a rule not to publish it by complaints, but exert your whole care to hide it. By endeavoring to hide it you will drive it away." It's my quote of the day today.